Well, we are here together. seeing the light of peace. I thank the people of Iceland, for having given so much love to this tower from its inception. 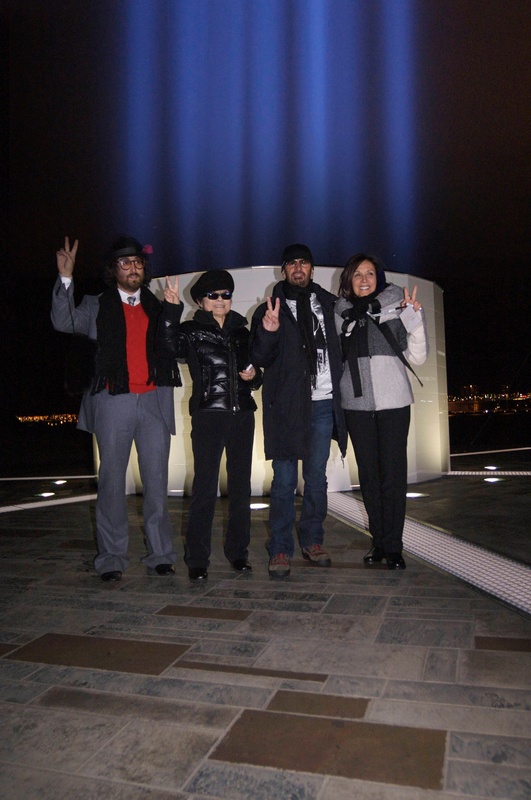 It is a gift from John and Yoko and the people of Iceland to the world. Let’s make a wish as the light goes on. Let’s send light to each other and say I love you! Vilhjalmur Vilhjalmsson (Mayor of Reykjavík) and 300 invited guests. to this very special day. Together, we stand for peace for the world to see. on the day of the unveiling of the IMAGINE PEACE TOWER. and send your wishes which will go directly to Reykjavík. We will all be together on that day. the axis of the globe will be shifted. Well, we are shifting the axis of the world to peace by our unity.